We have been repairing pro audio and electronic music equipment gear since the mid-seventies, with the repair and restoration of vintage synthesizers and analog keyboards being our specialty. Pro audio specialists and rockstars alike turn to ProSound for trusted repair of their vintage electronic music equipment. 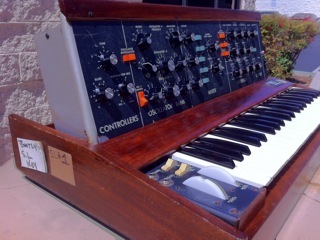 From MiniMoogs to the Arp or Roland Juno 106, we are vintage and analog music equipment restoration experts with a passion for preserving the golden, warm sounds of yesteryear and are proudly authorized by hundreds of manufacturers for doing so. Contact us today to see how we can bring your baby back to life! : service@prosound.com.